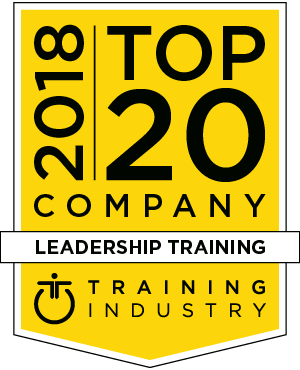 As part of its commitment to continuously monitor the training marketplace for the best providers and services, Training Industry has released its 2018 Top 20 Leadership Training Companies List. GP Strategies has demonstrated how to ensure the value of learning as part of business initiatives. We have made a significant name in the marketplace by focusing on the front-line performer and the sustainment strategies related to learning and ensuring that the learning initiatives are directly linked to the business strategy. Harvard Business Publishing Corporate Learning partners with clients to drive organizational performance and develop leaders at all levels. Our blended learning programs and on-demand leadership development use innovative methodologies and program design that work to engage participants, power learning, and provide meaningful business results. FranklinCovey remains a prolific contributor to the leadership training industry. The relevant training solutions they develop continually appeal to learners in all types of organizations. Their All Access Pass is a one-stop shop for learning and development solutions and is strengthened through regular content and solution additions. Impact is a global leadership development consultancy with fully custom solutions for leaders, key talent and high-performance teams using a business-oriented experiential learning approach. We are 262 consultants operating in 40 countries, speaking 21 languages and serving 400 global clients for 38 years. VitalSmarts combines three decades of research with 50 years of the best social science to help leaders and organizations achieve new levels of performance. VitalSmarts’ bestselling books and award-winning training programs teach high-leverage skill sets that lead to healthy corporate cultures and spur flawless execution and consistent innovation. The Center for Leadership Studies (CLS), founded by Dr. Paul Hersey is the global home of the original Situational Leadership® Model. We have had the honor of training over 14 million leaders around the world over the last five decades. CLS’ diverse product portfolio includes a comprehensive off-the-shelf leadership and influence curriculum, with translations available in over 30 languages. For 30 years, Linkage has helped nearly 10,000 organizations strengthen their leaders and build cultures of employee engagement that achieve and exceed organizational objectives with leadership development insights, learning and strategy. We believe that becoming a purposeful leader requires a lifelong commitment to learning, adapting and changing. CCL is a top-ranked, global provider of leadership development that helps transform individual leaders, teams, organizations and society. Our array of cutting-edge solutions is steeped in extensive research and experience gained from working with hundreds of thousands of leaders at all levels. DDI is a global leadership company that helps organizations transform the way they hire, promote and develop leaders at every level. Because better leaders lead to a better future, we have dedicated ourselves to the science and practice of leadership for five decades. To learn more about DDI, join us at www.ddiworld.com. The Ken Blanchard Companies® is the global leader in management training. For nearly 40 years, we’ve been creating the best managers in the world. From the award-winning First-time Manager program to Situational Leadership® II, we provide the most widely used leadership training programs and services and deliver real ROI for your training dollars. Wilson Learning is a Top 20 Leadership Training Company with over 50 years of experience designing proven training solutions for clients in more than 50 countries and in 30 languages. Our content is customized to fit organizations’ unique business needs—in nearly every service sector—using a blend of traditional and technology-enabled learning. With over 12 million users in over 130 countries, CrossKnowledge is a forward-looking digital learning solution, with the ability to transform individuals and entire organizations. We provide a customized, fully integrated learning solution — bringing together our cutting-edge technology and world-class content into a blended environment. We help leaders make meaningful contributions in the places that matter most, showing them how to achieve greater influence through closer, more rewarding relationships. For over 100 years, Dale Carnegie has been improving the personal and financial well-being of people around the globe, forming a more compassionate, engaged leadership culture. Cegos Group partners with organizations across 50+ countries in order to help them solve their exponential leadership challenges. Cegos solutions integrate multi-language proprietary contents altogether with the client’s culture and goals and with tailor-made learning experiences fostering engagement and sustainable learning transfer. AchieveForum helps leading organizations around the world equip and enable their leaders to succeed in the moments that matter most. Through new products such as the AchieveForum Alliance and Everyday Coaching we are partnering with our clients to develop innovative tools to help all leaders succeed in everyday leadership moments. BTS is a world-leading strategy implementation firm focused on the people side of strategy. We know that leadership is relentlessly contextual, so we tailor our leadership programs to the businesses’ specific goals to help each leader grow from good to great. Richardson is a global sales training company focused on helping you drive revenue and grow long-term customer relationships. Our 40-year market-proven coaching methodology combined with our active learning approach ensures that your leadership teams can help sellers to apply new behaviors when and where they matter most — in front of the buyer. Skillsoft is the global leader in corporate learning, providing the most engaging learner experience and high-quality content and trusted by the world's leading organizations, including 65 percent of the Fortune 500. Hemsley Fraser is a learning and engagement specialist that provides training courses, digital learning, custom and blended learning and managed learning services, which transform organizations and individuals. Founded in 1991, the company has offices in the UK, the USA and Germany, and it delivers inspiring leadership programs across 90 countries. As part of our commitment to continuously monitor the training marketplace for the best providers and services we announce the 2018 Leadership Training Companies Watch List. The 2018 Leadership Training Companies Watch List is intended to help buyers of training services evaluate leadership training providers, representing emerging or unique strengths or capabilities. Over one million managers worldwide use Vital Learning’s innovative and proven approach to skills development. Vital Learning’s experiential classroom training, responsive online microlearning, immersive skill practice solutions, and built-in reinforcement deliver unmatched quality and tangible results. All of Crestcom's strategic and operational energies are directed towards our singular passion: leadership training. We continually evolve our program to include the newest technologies, course formats that attract today's generational diversity, and, most importantly, modules that reflect the latest thinking in leadership development. Bluepoint focuses on one thing: developing leadership talent. We work with organizations at all levels to build leaders who will have an impact today and build a talent pipeline for tomorrow. We hold leaders accountable to create exceptional alignment, engagement, innovation and productivity, and believe that leadership is everyone’s business. AMA transforms the way business professionals think and work. To transform an organization, shift the culture and produce optimal business results, AMA uses proven learning methods and provides skills, tools and knowledge developed with the world’s leading subject matter experts. Wronski Associates is the trusted partner for academy-minded companies looking to design and deliver innovative learning experiences that will attract, develop and retain their top talent. Our programs develop leadership, technical and business skills while other providers typically specialize in only one or two of those domains. Mandel empowers business professionals to effectively communicate in every presentation and conversation, in any setting. For more than 25 years, Mandel has been accelerating the business performance of our clients, and the careers of our participants. Mandel has a scrap rate of 4 percent, and a total learner satisfaction score of 4.85 percent on a scale of 5. Ariel is a communication training company that empowers organizations to have true influence. Solving business challenges starts with improving strategic communication skills. Our blended solutions leverage cutting-edge technology and experiential learning to ensure organizations write, speak and sell with impact and emotional intelligence. Global leadership and development consultancy OnTrack International designs and delivers engaging, effective and memorable learning solutions that transform the performance of individuals, teams and organizations. The company’s client-driven, blended approach combines instructor-led training, digital learning content and online learning portals. Advantage Performance Group is a professional services firm dedicated to providing a continuous stream of creative learning solutions that equip individuals, teams and organizations to be the best at what they do. Partners In Leadership guides clients in defining Key Results™, shaping Cultural Beliefs®, and solving accountability gaps. With our network of experts around the world and #1 award-winning content, our firm helps clients achieve their mission while continuing the legacy of pioneering accountability training and innovating cultural transformation. Carew International recognizes the role of effective leadership in the success of any organization. Our collection of leadership development programs features an in-depth, energetic and progressive approach and proven methods to elevate the potential of every team member, create an environment for success and align your team for optimal results. 2logical is the motivational intelligence company. We develop leaders who understand how to perpetuate five mission critical components: accountability, adaptability, resilience, initiative and courage. These five components are the key to unlocking employee potential, increasing engagement and significantly improving organizational performance. An award-winning innovator, The Training Associates is a recognized global leader for learning and development talent and solutions. Our experience, proven track record, and commitment to providing learning services for clients across various industries has earned us a reputation as a leading provider of leadership training and solutions. Thayer Leader Development Group (TLDG) is a premier executive leader development program based upon the learning principles of West Point and the U.S. Army. Insights is a people development company dedicated to creating a world where people truly understand themselves and others and are inspired to make a positive difference in everything they do. Our work is founded on the notion that self-understanding is transformative for your people and self-aware people are transformative for your business. PDG believes that leadership development requires context and experience. Knowledge is just the start. Leaders are tested in the field; their education requires extensive application, practice, coaching and feedback. That's why PDG has built our leadership strategy around experiential learning, helping leaders build proficiency through experience. Since 1970, Pryor has helped 11+ million people and 300,000+ businesses attain career goals by offering comprehensive, affordable, accredited and convenient business and leadership training. 10,000+ training opportunities are offered live and online, along with learning assessments, curriculum planning and innovative thought-leadership. Global Knowledge is the worldwide leader in IT training and skills transformation. Our leadership training program empowers organizations, teams and individuals with the skills and best practices necessary to leverage the technologies and competencies critical for sustained success. We help develop the leaders of today and tomorrow.